Oak is a funny wood. When they were rebuilding York Minster's South transept after the fire back in the eighties they discovered that the main oak beams which had been in place for several hundred years and had over two inches burned off the outside, had, less than three inches from the former surface (i.e. less than an inch from the carbon charred surface) a moisture content similar to that of a freshly felled oak tree. This is why the replacement oak beams were turned into planks less than three inches thick and kiln dried before being laminated back into beams of sufficient size to be used to rebuild the South transept roof. 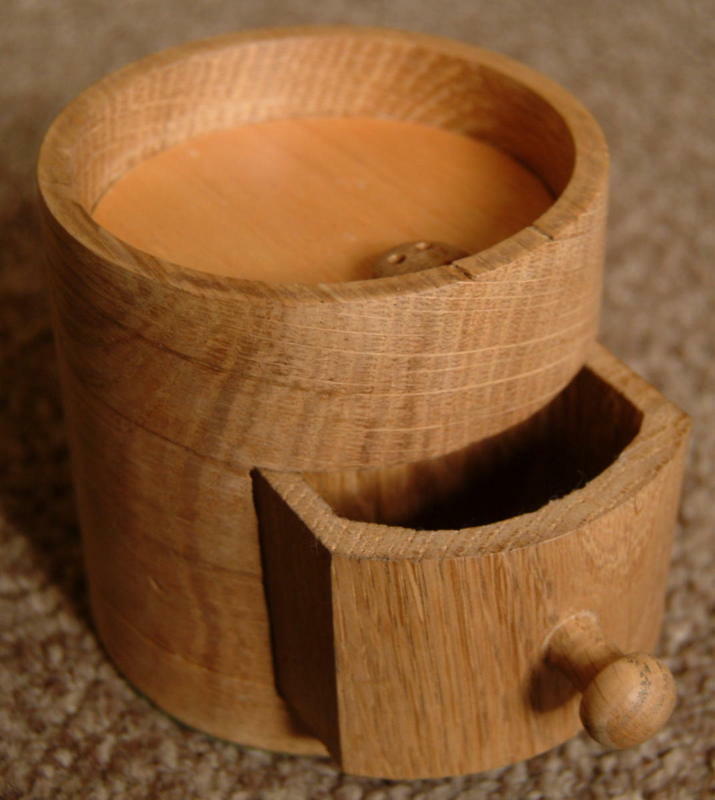 Air dried oak will have a moisture content around 12 to 15% at the surface, given the diameter of your box there would be a moisture gradient towards the centre. As you turned the wood you set up stresses as you created a shape of differential moisture content, which because of the way you turned it would dry unevenly. There is no real cure but you can ameliorate the effect by keeping the part turned piece in a plastic bag in between turning sessions (this slows the moisture loss and gradually equalises the moisture content of the piece. Another way this can be achieved is to use a shellac or cellulose sanding sealer to reduce moisture loss. You can easily sand or turn through as necessary. I particularly prefer to use a sanding sealer underneath wax on oak as oak and wax react together rapidly darkening the appearance of the wood.